Monomethylmercury (MeHg) is one of the most toxic and the most commonly occurring organomercury compound and the wetlands are one of the main areas of generation of this Hg form. Concretely, it is in the macrophyte root system where better conditions are given for its generation. 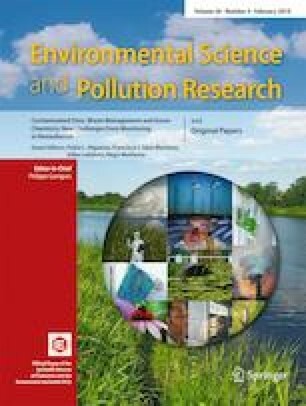 However, the knowledge of absorption and subsequent distribution of mercury (Hg) and monomethylmercury in aquatic plants is still limited. Mercury mining district such as Almadén (Ciudad Real, Spain) is a natural laboratory where different rivers flow and the species Typha domingensis Pers. is a common macrophyte which grows in their riverbanks. The aim of the present work is to apply a recently developed method specially designed to analyze Hg species in plant tissues to the different fractions of T. domingensis under real field conditions and to study the accumulation and distribution of Hg species (inorganic Hg and MeHg) within the plant. The results proved that whatever Hg species has preference to be accumulated in the belowground fractions and demonstrated a high efficiency in the accumulation of MeHg. This work was supported by the Spanish Science R&D Program for the MERCURIO (CGL2009-13171-C03-02) Project. The authors thank Minas de Almadén y Arrayanes S.A. (MAYASA) for their support during this work.